21 Day Sugar DETOX Challenge. Join us as we commit to giving our body a vacation from Sugar. SAY NO TO SUGAR for 21 days. We begin Monday March 12 and end (if you decide to) Sunday April 1. We are innudated with sugar in this country (approximately 140+pounds per person per year, on average). Its hidden in our packaged and refined foods and insideously disguised as healthful in some cases. This dependence is causing our greatest health and immune challenges, not to mention challenging our mental ability to stay centered and balanced. Sugar has been implicated in connection to obesity, autoimmune issues, all blood sugar regulation issues, mood disorders and cancer. -Use your breath. 4 Step (one inhale in 4 increments) inhale through your nose, 1 breath out through your nose. 3 minutes a day and night or when needed. This will balance the mind, bring calm and regulate the elements in the body. -Eat within the first hour of waking to maintain blood sugar balance. Try to not eat at least 2 hours before going to bed. Eat a nutrient dense, properly prepared diet with good sources of protein, good fats and unrefined carbohydrates of the plant variety, when possible. Try sprouted, fermented foods and broths to aid digestion. There are many wonderful bone broth sources available now. -Drink half your weight in water (in ounces) If you are 150 lbs. Drink 75 oz water. Plus add 12 ounces for every 8 ounce diuretic (coffee, black tea, juices (boxed) alcohol) Sip through out the day to ensure proper digestion. – Get your body moving. Walk, come to yoga! Do a Kundalini Yoga set. – Take some time out for joy. -Since we are all doing this on our own, stay connected. If you would like, please contact me at ananddeepkaur@gmail.com to receive cheer leading emails, as well as valuable information. Plus, let me know how you are doing! **Tuesday night March 20| 6:30pm class |will be focused on supporting this Detox practice with added meditations and a set to continue cleansing. Led by Allison Hutchins, Director of Metta’s Sacred Space and NTP in training. Wednesday| April 11- 6 pm |open (free to all ) workshop on The Foundations of Nutrition: Healing the body in the Aquarian Age. The following guidelines are set out by the Nutritional Therapy Association. If you are interested in more information, please contact Metta about Nutritional Therapy for your bio individual needs. The protocols below are for your information. They are not necessary for this Sadhana. Giving up Sugar is! 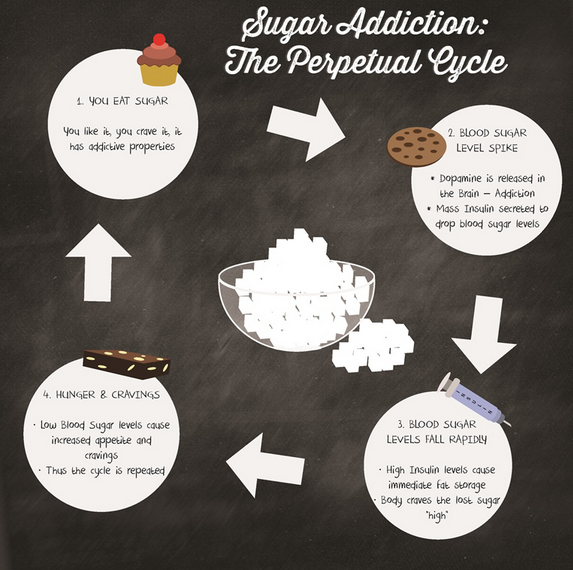 If you need help in committing to a long term sugar control diet, please contact us.